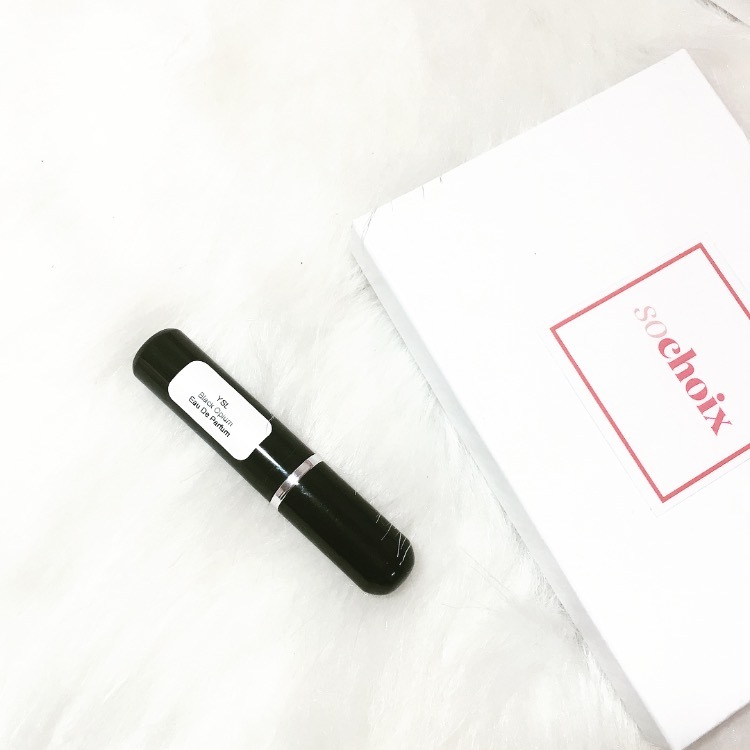 Today I wanted to share my new favorite subscription box called, SoChoix! Its a box that allows you to actually pick your own sample items instead of being sent them at random! All you do is go on to there website pick what subscription plan suits you best, and then choose your products. They have thousands of high end products to choose from. Everything from fragrance, to makeup, to nail polish. The first thing I think of when I look into getting a new subscription box, is product size. Are the products even going to be worth the price, and am I even going to use the products given. 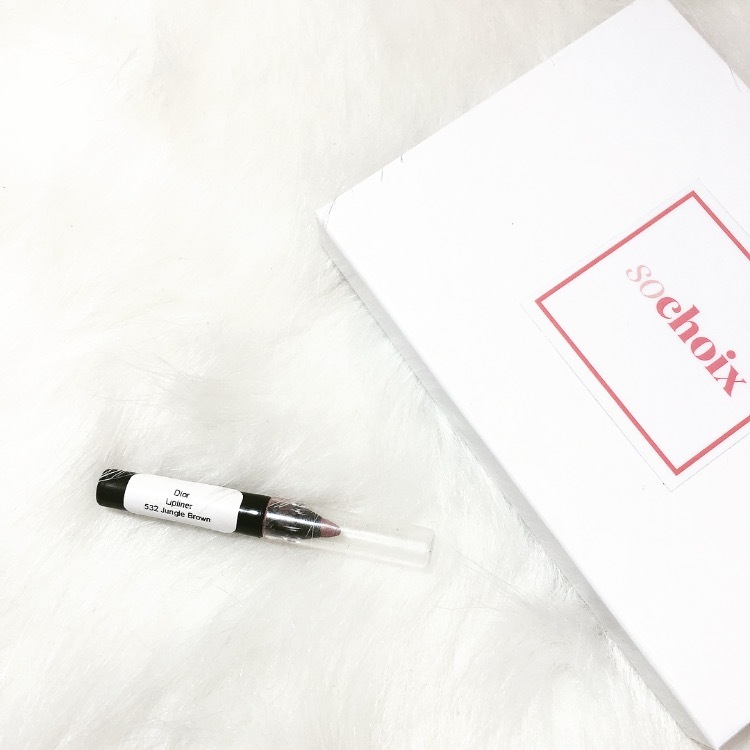 With So Choix I was super super surprised at how big the samples actually are! 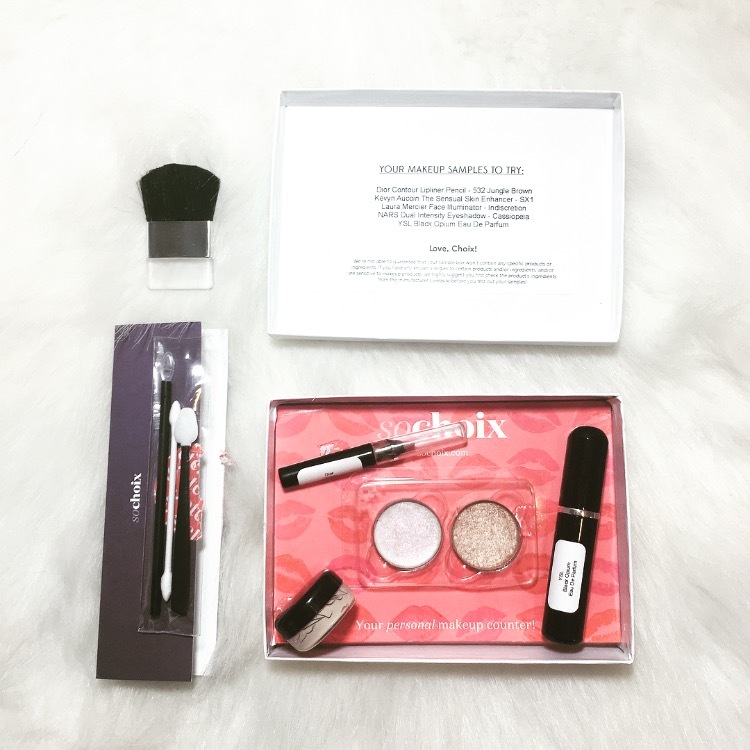 Everything I got I can with out a doubt get multiple uses out of, which is better than normal sample boxes that give you barely enough for one application. Fill your queue with all of the nail polish, fragrance, and makeup products you want to try, from all of the luxury brands we carry. 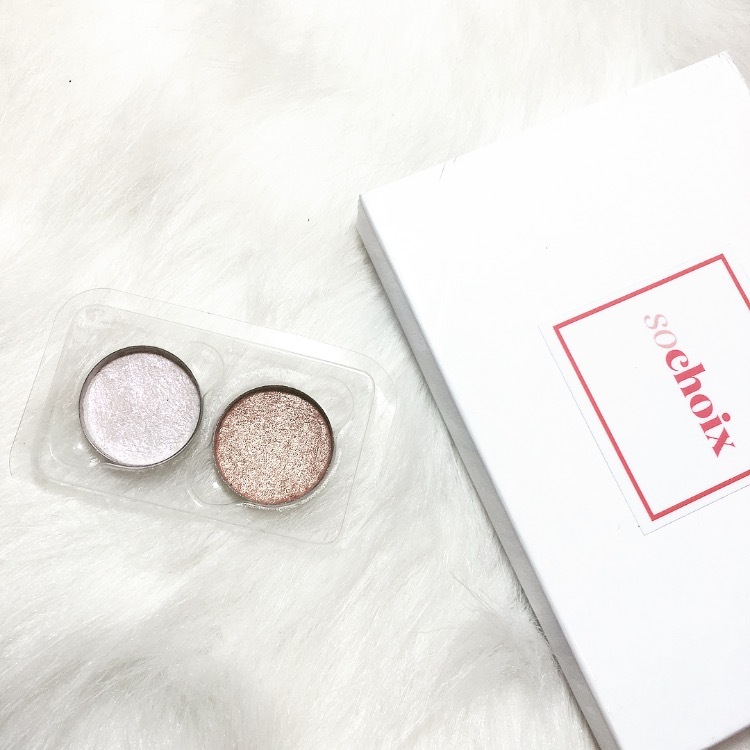 Every month we'll send you So Choix samples of the top 5 makeup products from your queue! We know most of you want to try more than 5 products a month, so on top of your monthly box, you'll be able to purchase So Choix samples "a la carte" for $3 each (non-members pay $5 per sample). You'll also receive special members-only pricing on all our curated boxes! And you'll start earning So Choix Elite points as soon as you sign up! Every month you’ll automatically earn 250 points (equivalent to $5 credit, every month) towards the purchase of any full-size product. Continue to earn, save, and redeem points on store credit and special gifts! 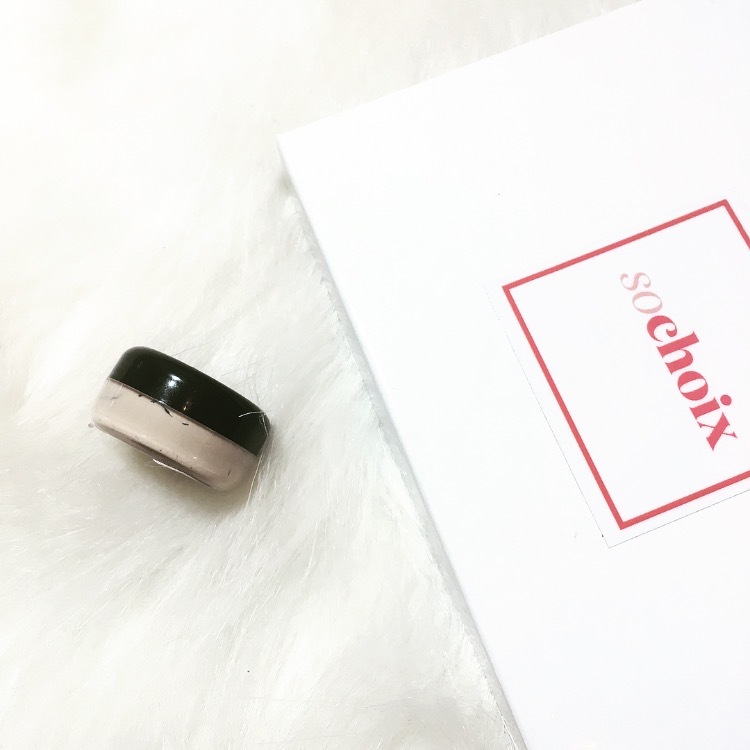 With So Choix there's no commitment and your membership can be cancelled at any time. When I went to pick out my products, I knew I wanted to try to get a little of everything so I had a good idea of how the products are sampled out. So I picked a Fragrance, an eye shadow, a highlighter, a concealer, and a lip liner. I would say all of these products are delved out super well, size wise. 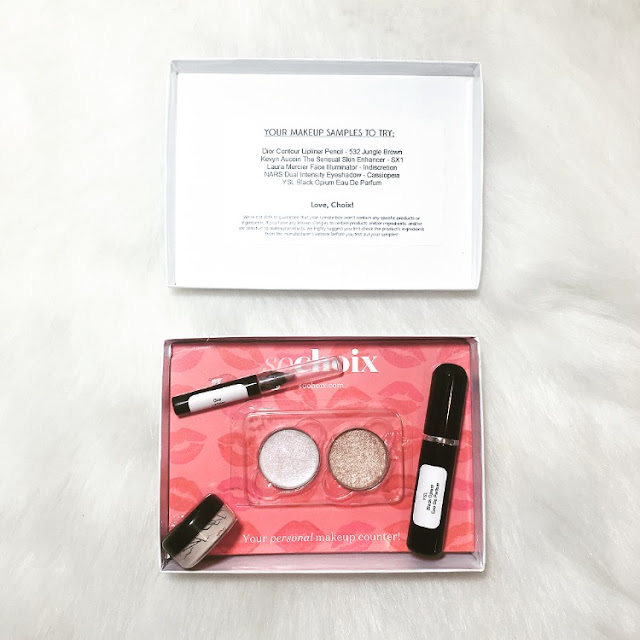 I can get tons of use out of the powder products, as they are a pretty nice sized pan. 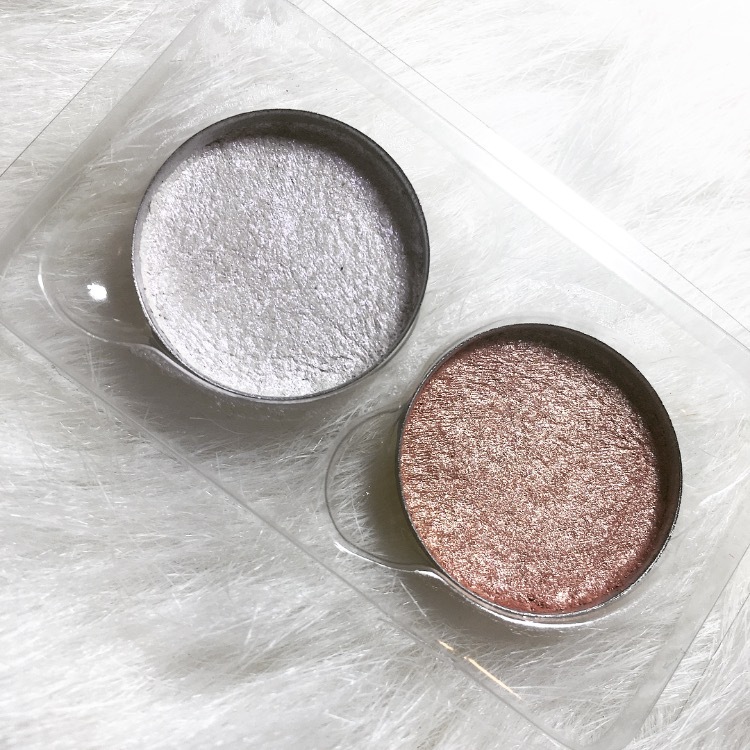 Also something I loved about the powders products, is that the pans are the same size as a normal eye shadow pan so they fit perfectly into all of my magnetic pallets. The perfume is such a good size to take with you in your purse! Also the concealer is super super pigmented so it will last quite a while! The lip liner is also a great size and can be sharpened a few times to get full use out of it. I'm going to put each product I tried with links below for you guys in case you want to try in your box!